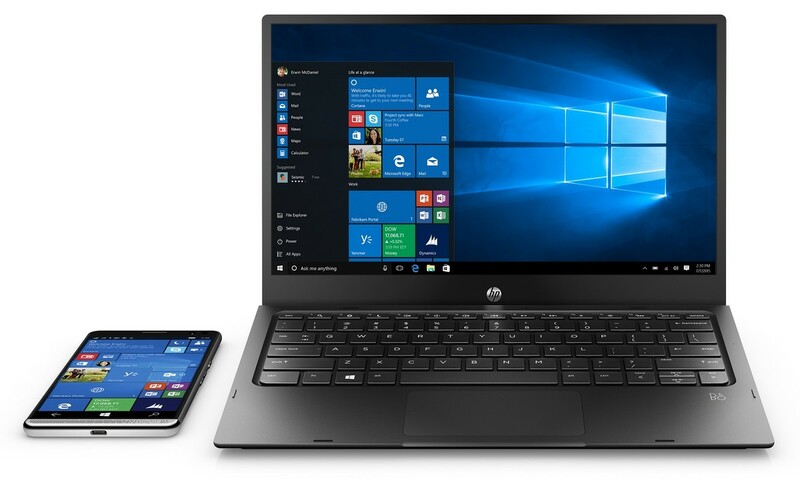 HP is back in the mobile business with a bang, They announced the HP Elite x3, a very high end windows 10 mobile device with a lot of focus on security, business and productivity. 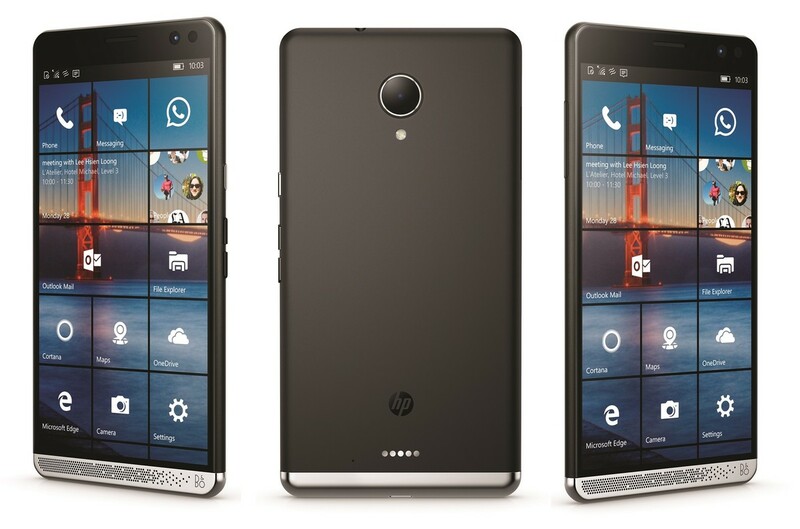 HP Elite x3 is a very gorgeous looking device powered by a Qualcomm® Snapdragon 820, 2.15 GHz, quad core processor. It has 4GB of RAM, 64GB internal storage with SD card support of up to 2TB. Sporting a 5.9″ diagonal WQHD AMOLED display with corning Gorilla Glass 4 & 530 Adreno GPU. Bluetooth 4.0 LE (supports Miracast), NFC, Dual nanoSIM, USB Type C and a Pogo Pin Design on the back, to enable a variety of peripherals to plug in. With 16MP rear camera and an 8MP front facing camera with iris scanner for Windows Hello. IP67 certified – dust and water resistant (up to 1 meter and 30 minutes). The phone also comes with Bitlocker 128-bit encryption, VPN-SSL, Intune MDM and Reset protection. HP says the Elite x3 combines PC power and productivity, tablet portability, and smartphone connectivity in a sleek and secure device that can dock with your screens and keyboards when you need to work big. HP is making available as part of the productivity accessories for the Elite x3, the HP Mobile Extender & Desk Dock. With the power of Continuum and the ability of Universal Windows Platform (UWP) the accessories can give you the flexibility of using your phone as either a laptop, tablet or desktop PC. The Mobile Extender is designed as an ultra-slim, near borderless 12.5″ diagonal display notebook that connects with the Elite x3 to achieve a seamless Windows Continuum computing experience. The Mobile Extender has a near-zero bezel with a 12.5-inch diagonal HD display that weighs less than 1000 grams. The HP Desk Dock includes a DisplayPort for external monitors, two USB-A and one USB-C, plus a wired Ethernet Port, creating a rich desktop experience on larger screens. “We believe in a world where technology will work for you and adapt to your needs, context and environment,” said Dion Weisler, president and chief executive officer, HP Inc. The Elite x3 will be available this summer to business customers and Windows Mobile fans. Pricing will be made known prior to release. Haven you seen this? Do you think other manufactures will up their game and get into the windows Mobile ecosystem as well. Is this the device you’ve been waiting for? Tell us in the comments.